This entry was posted in Simplify and tagged homemade face wash, homemade facial cleanser, homemade moisturizer, natural face wash, natural facial cleanser, natural moisturizer, organic face wash, organic facial cleanser, organic moisturizer, simple living, simplify by Camilla. Bookmark the permalink. Hey, i have dry and sensitive skin and i wanna try Oil cleansing method. But I heard that castor oil promote faster hair growth? Does that mean it will encourage faster growth of facial hair as well? Besides castor oil, is there any substitute for it? like if i use extra virgin olive oil and almond oil? is that suitable for dry and sensitive skin? Hi Nur Mira. After doing a Google search for castor oil and hair growth, I see what you mean. It seems to me that what these sites are indicating is that it makes hair healthier due to the nutrients it contains. If you are concerned I would test it on your arm or leg first. I have dry skin and I like to use organic extra virgin olive oil. It works for me. However, you may just have to test different oils. With patience you will find just the right ingredient for your skin. Enjoy and have fun with it Nur! Does olive oil make skin darker? Hi Maria! My thoughts are that olive oil will not make your skin darker. But, I am not a skin expert or one with advanced knowledge of how our skin reacts to products. It has not made my skin darker. I would perform an online search and look for results on reputable websites. Thanks for visiting Maria! Hey Carol! Dry, tight skin is NO FUN! It also gets itchy when it’s so dry! In addition, I use pure shea butter for those times when I need added moisture. You can search my post to find the one I use. We use it on our lips too! I still break out but no more than I did when I was using all those chemical infused products. However, the break outs are not as bad and go away much quicker! Here’s wishing success for YOU! can i use sunflower oil ?? Hi Janki! I have used sunflower seed oil and really liked it. The only reason I’ve been using the olive oil instead of the sunflower seed oil is that I prefer organic. The organic sunflower seed oil costs more. I think next time I’m where I can get some organic sunflower seed oil, I’m gonna switch it up! I like both! I use sunflower seed oil as a detangler for my daughter’s hair. After I wash her hair, I put about a dime size drop in my palm and rub my hands together. Then I smooth it into hair excluding the scalp area (she has really long wavy hair). Works great! Thanks for stopping by! I have very dry skin and I constantly had to use a lot of concealer and foundation to hide the redness. BUT, this past weekend, my boyfriend suggested that I try olive oil and I did. I washed my face and towel dried it then applied extra virgin oil oil with a cotton ball. I did this just once and surprisingly, not only did it moisturize my face but it also began clearing up a few spots left by acne. I was shocked. So tonight, I just decided to Google benefits of olive oil on skin and I found Camilla’s post and I just wanted to share my story. Best of luck to everyone! Hi Falasteen! I’m thinking one’s skin would get darker/burned when any oil is applied and one goes to the beach. Definitely not a substitute for sunscreen. Thanks much Meekie for your input! 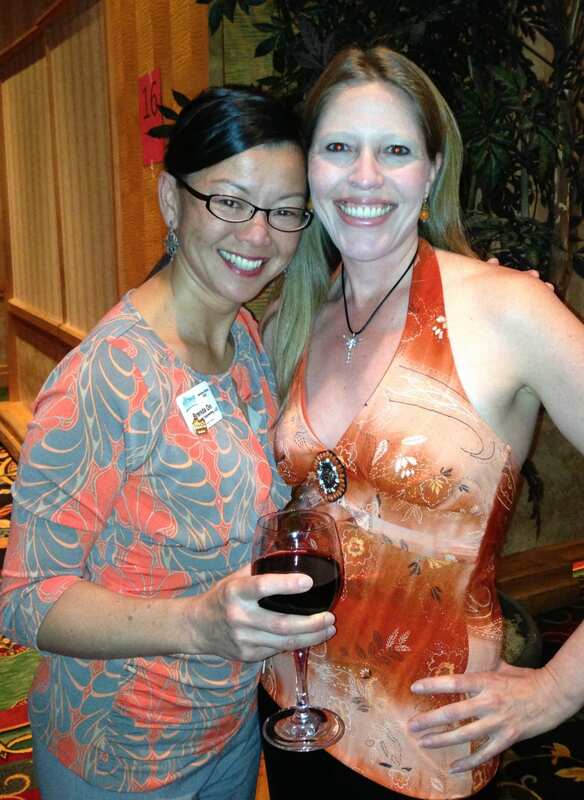 So happy it worked great for you and that you shared your experience with us! Best wishes for continued success!! Wow, your skin looks radiant! I just googled “olive oil as a moisturizer” because my face is really dry and my wallet is really empty. But I do have olive oil at home. I am definitely going to try this! Thanks! Thank you Meredith! Absolutely! Finances are what began my journey to find a simpler and cheaper solution! I couldn’t be happier with the results for my skin and my finances. Best wishes to you for success! I cook my food with sunflower oil nd also for my skin…is it good for my skin ???? Do you think it is advisable for me to use olive oil as my moisturizer if I have oily skin? Hi Janki! My philosophy is that if I’m eating it, it sure as heck should be okay for my skin too! Now, if you are referring to whether or not it will cause your skin to break out, you might want to check out the website I mention in my post. I tried Sunflower Seed Oil and just found that I preferred the Olive Oil. Thanks for taking the time to read my article!! Hi Lyra! I suggest you check out the resources I link to in the article to read more about using olive oil and oily skin. My friend, Brenda, in the picture with me has oily skin and she has been using this method since I shared it with her about 6-9 months ago. You’re Welcome Charlotte! I’m inspired knowing that I have inspired YOU!! Blessings to YOU! Thank you for sharing. This has helped me greatly as I get dry patches on my forehead and nose in the winter months. So far I am clear after a month. No more itchy dry skin. I also use this on my entire body after a shower now. No more powdery legs to shed. Hey Lisa! I’m so happy for you! I like to use it on my entire body too. Feels good! I’m blessed to know that it’s been so helpful for you Lisa! Thanks for sharing! This is a very informative post, Camilla – thank you. I’m looking to substitute my (unnecessarily expensive but suitable thus far) moisturizer with a natural alternative. As a gentleman, I wasn’t able to fully understand some of terms and phrases you used in the step by step description of your cleansing/moisturizing routine. Do you happen to have suggestions on what a mid thirties aged male could incorporate into his routine, (essentially an adaptation of your routine for men)? Thank you again. I’m glad there’s a small, but growing number of curious, conscious and concerned people who desire and will see past the marketing blitz that big corporations plaster our lives with. Hope this will help me. I have normal skin, but last week I overused my scrub. My face is now red, feel like sand paper, become darker around my forehead and chin, and so dry and itchy. I don’t have olive oil in my kitchen, definitely going out to buy some tomorrow. I really hope my skin will at least return to its normal state before scrubbing.. aish.. what am I thinking scrubbing my face like that..
Hi Cathy! I am absolutely no expert about our facial skin. I would continue searching online for other people with your skin type for solutions that are organic and natural …. products that don’t have preservatives and artificial ingredients. You may also look into your diet. For many people, dairy causes break outs. Perhaps pick one food type. Eliminate it from your diet and see if your face clears. If that one has no effect, move onto the next. Best wishes to you Cathy and thank you for visiting my blog! Thank you for your response. I will eliminate dairy products from my diet and keep you posted on the progress. Hi Avir! Not being a “skin expert”, I don’t feel I’m informed enough to offer suggestions. However, I think you should be able to use the exact same method as described in the post. There’s no way of knowing if it works for you unless you try it. Best wishes to you Avi! Hi there – Very interesting post! On the ‘original method’ link it says to do this regularly but not too often… so I’m wondering whether you do this every day, or less frequently and if so, what you use (if anything) to clean your skin on the days you aren’t using the oil. Your information is awesome. I love the way olive oil makes my skin feel. My question is if I use the olive oil as my moisturizer can I still wear my foundation and powder? Hi! I just started using the oil cleansing and moisterising method. It’s been over a week, and I love the way it makes my skin feel. I have very dry skin, so I use a mixture of avocado and castor oils to cleanse and then jojoba and sea buckthorn oils to moisterise (got the recipes off crunchy betty blog. Anyway, I have yet to try this on my body, do you use olive oil as a body cleanser as well? Hey… I really feel hopeful after reading your post because I am sixteen and I do not wish to put any harsh or synthetic chemical on my skin. However there is one question l would like to ask …. Does olive oil tan skin because l wish to get fairer instead of tanned and dark and l have seem mixed views on the internet about olive oil. Some say it tans you while others say it is effective in skin lightening. I really do wanna use olive oil as my skin is sensitive and it the most gentle moisturizer I have come across but I do not want to use it if it will darken my skin tone. I AM AN ACNE PRONE PERSON. I HAVE BATTLE WITH ACNE MY WHOLE ENTIRE LIFE. MY FACE GETS SO DRY WHEN I USED CLEANSER. IT DOESNT MATTER WHAT KIND I USED, STILL DRIES ME OUT. SO WHEN I CAME ACROSS YOUR STORY IT KIND OF GAVE ME HOPE, BUT MY ONLY CONCERNS WITH EXRA VIRGIN OLIVE OIL IS THAT I HOPE IT DOESNT BREAK ME OUT EVEN MORE. I AM WILLING TO TRY AND HOPE IT WORKS FOR ME. THANK YOU FOR SHARING YOUR STORY. To all who are concerned about breakouts, it can be used as a pre-wash as well. A couple of days a week I wash with only the oil, but other days I use it as a prelude to a traditional cleanser with salicylic acid. The best part is smoothing the oil on damp skin after the wash, so beautiful (lol). Hi Liz! I hope the redness went away quickly for you! I personally don’t use a scrub, but if I were to use one, I’d make sure it is organic with natural ingredients and mild as well. Let us know how the olive oil worked out for you! Hi Robyn! 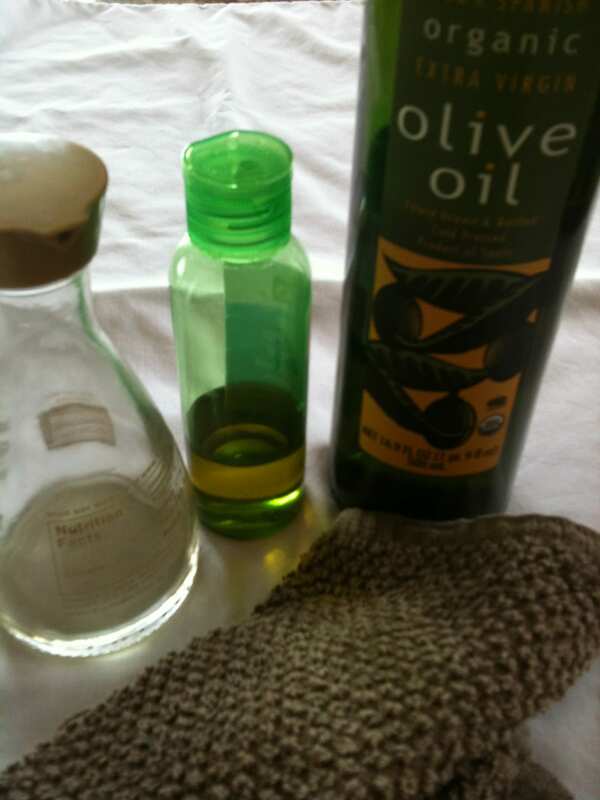 I use straight olive oil to remove makeup and straight olive oil to moisturize every day. Except, on days that I don’t wear makeup I don’t use the olive oil at all. This is usually about 3 or 4 times a month that I go without makeup. Thank you Shawn! You should be able to wear your foundation and powder without issue. I use a mineral based makeup (powder). I make sure to wait 15 to 30 minutes before applying makeup to ensure that the oil has soaked in. Experiment with it on a day that you’ll be staying home. Best wishes to you and let us know how it goes! Do you use it at night and in the morning? Hi! I have not used it as a body cleanser! Didn’t even think of that! I have applied it after showering as an all over body moisturizer. I wouldn’t want to use it in the shower as it would get too slippery in there. I’m still on the look out for something to replace regular bath soap with .. It’s got to be moisturizing too as I’d be an all-over-all-day itching mess, if not! I have used olive oil as skin moisturizer for some time now. I also don’t like the chemicals in store bought moisturizer. It is much less expensive and seems to be a base for many handmade moisturizers. So I gave it a try and now I won’t go back to those nasty chemical-laden ones! I am 61 and have been using olive oil as a moisturizer for many years. All of the commercial moisturizers that I purchased seem to bother my allergies. I did some research looking for natural methods to moisturize and found an article about Sophia Loren and her use of olive oil. It is the best thing that I have ever done! I use it before I go to bed at night and then in the morning before I apply my make up. I love the way it makes my face feel and I get lots of compliments on my complexion! Thank you Imelda for your comment. I am acne prone also. I still do get breakouts but they aren’t as bad as before and clear quickly. Make sure to check out all the links I include in the article as there’s one that touches on this subject. Please let us know how it goes. Best wishes to you! Hi Catherine! I started out using the OCM mixture with castor oil. I only did that for a couple to 3 months. I solely use organic olive oil now. I use it for make-up removal, cleansing and moisturizer. After I massage it into my skin (which I love!) I use a warm wash cloth and wipe my entire face a couple of times. Then I apply a tiny bit of olive oil as a moisturizer. I ONLY do this if I have worn make-up during the day. If I have gone make-up less all day, I don’t even wash my face! I use mineral make-up and am not sure if the type of make-up one uses has anything to do with how easily it comes off. Thanks for stopping by Catherine! Hi there! I use it at both times unless I have gone without make-up. I don’t use it at night if I did not apply make-up. Thanks for stopping by! That’s awesome Daryl! Thanks so much for sharing your story and the tidbit about Sophia Loren! Sounds like we use it in the same way. I love the way it feels too! Thank you tons for stopping by! !